For some reason the clock on the server is 5 hours fast so you can see this comic way earlier than normal. 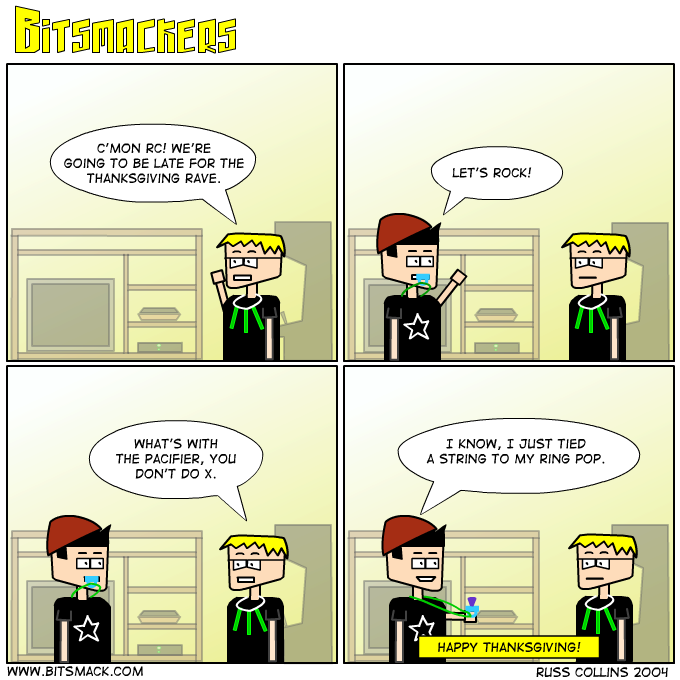 Thanksgiving is a time to reflect on what you are thankful for, eat a good meal with your family, and apparently in your case read internet web comics. Don’t be ashamed, own your geekiness! Anyway, I hope everyone has a great holiday!